Answers to the Too quiz! Where do cockatoos originate from? The answer is all of the above! There are cockatoos found naturally in all these places. 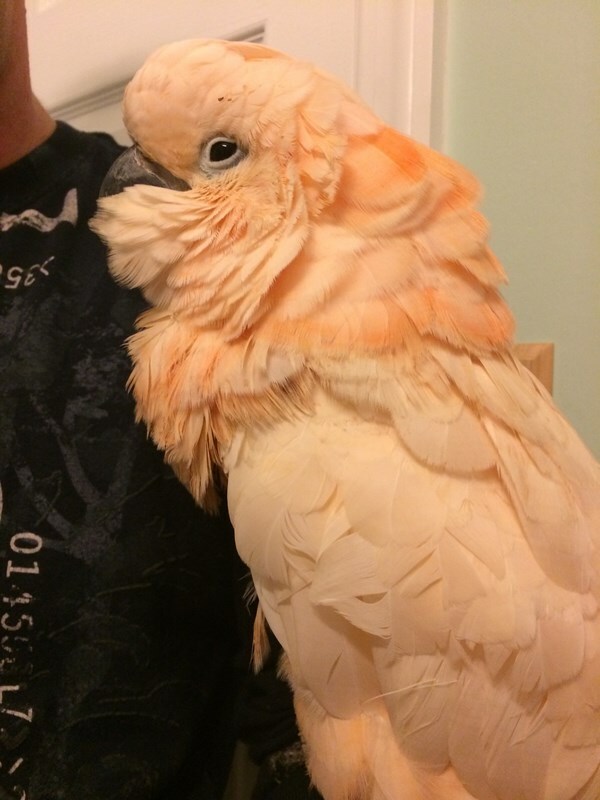 What species of cockatoos do you know? 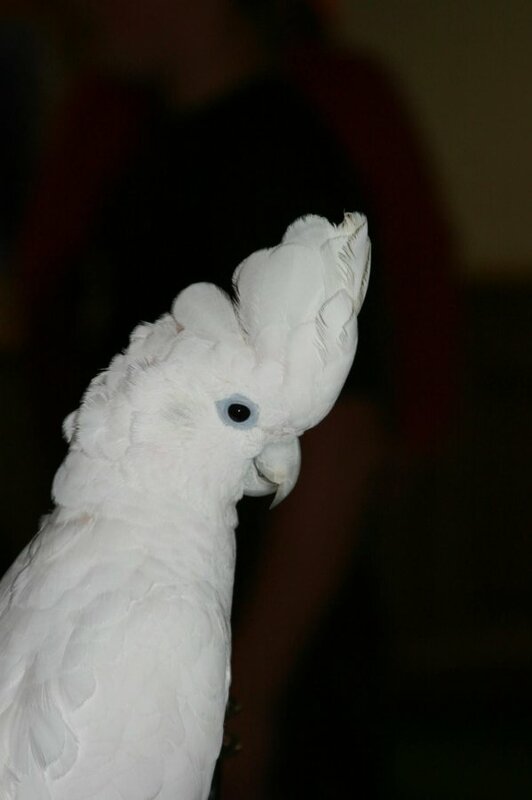 The most commonly known Toos are Umbrellas, Moluccans, Goffins, Sulphur Crested, Rose Breasted, Major Mitchell's (Leadbeaters)! But there far more...The Bare Eyed, the Blue Eyed, the Ducorps, the Philippine Red Vent, the Slender Billed and the Gang Gang Cockatoos. There are also subspecies of each type AND interspecies hybrids that occur only in captivity due to breeders. NOTE: These pictures are the property of Lonely Grey Rescue. No commercial use of these photos will be tolerated unless prior permission is given. All of these cockatoos have lived at Lonely Grey Rescue...can you name the types? High! Cockatoos and African Greys have very high dander levels. When you hold them you will often see a powder residue on your shirt and hands. Are you ready to live with the dust and dander for many years to come? The safest thing to do is to purchase an air purifier. This is important for the safety of your family's lungs. Just remember...lung damage cannot be undone! We do sell Austin Air filters, which only need to be changed every five years, to anyone who is in need of a top quality air purifier for your home. Cockatoos are well known for their screaming! This screaming can last minutes or hours and can make your ears ring! Are you prepared to live with this? Do you live in an apartment, condo or townhouse where your neighbors may be bothered by this? Don't think it will be that bad? NOTE: All rights to these videos belong to the owners. These videos are only meant to show that cockatoos of any size can be loud...even when they are happy! These videos were used for educational purposes only. Screaming is not the only behavioral issue that could arise! Cockatoos are known for being unpredictable, especially during hormone season. A cockatoo may love you and be your best friend but they can still bite! We love our cockatoos and our family members own cockatoos but if you have small children you MUST be vigilant about supervising any interactions. We have seen adults with large scars from cockatoos they have lived with for many years...we don't want to imagine that injury on a child! It is not the bird's fault or the child's fault if an incident occurs...birds get scared and become protective and children move fast and don't always follow rules that are set. It is the adult's duty to provide a safe place for BOTH the child and the bird. Plucking is also a serious issue in cockatoos. They are big chewers and demand a lot of interaction. This is not a bird who needs only a few minutes to an hour of attention a day. They need lots of stimulation through toys, tv's and radios while you're gone, and a heck of a lot of people interaction. If you are not willing to integrate a bird into your family's tv time, dinner routine, etc. then a cockatoo isn't right for you! 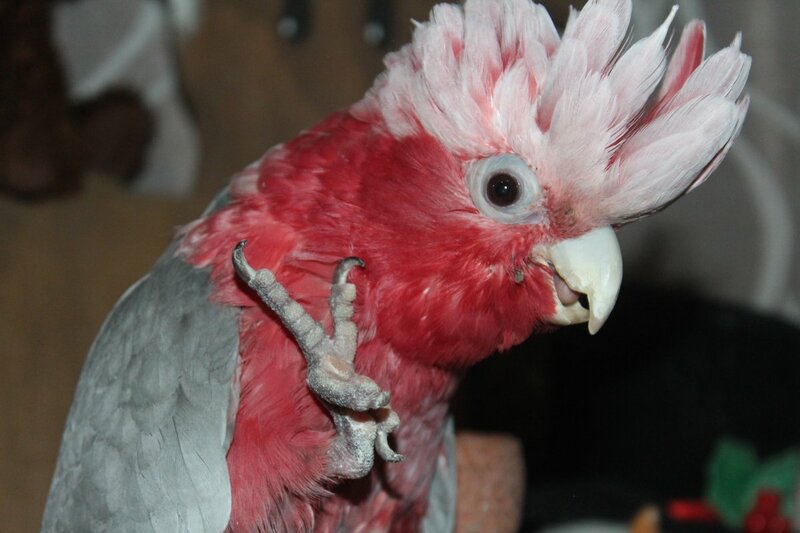 A cockatoo should be provided with a pellet diet at all times and also offered things like fruits, vegetables and other staples that will account for 50-60% of their diet. Some people integrate what they are eating for breakfast, dinner, etc. into coordinating what a bird needs and others use special recipes called "chop" that are great for parrots. You can make a large "chop" once a week or every couple week and freeze daily portions or you can start eating lots of fruits and veggies yourself! Keep in mind: nothing fried, no use of oils other than certain safe ones such as coconut oil, and most importantly NO microwaving or giving a bird too hot foods. Microwaves create hot spots in food which can be dangerous to birds...Little George the Moluccan Cockatoo came into the rescue with severe crop burn from eating food that was too hot. The results were gruesome and his vet care is very extensive. Sunflower seeds and the generic parrot seed mixes offer little to no nutritional value. This is due to the fact that most parrots will pick out the sunflower seeds which have low nutritional value unless sprouted. These sunflower seeds are fillers and the bird will become full and ignore the healthier parts of the mix such as fruit. The reason they are used in seed mixes is because they are cheap and easy for the manufacturers to buy. How do you know what is safe to cook for your bird? There are some great people who created groups just to help you on this! The Parrot's Pantry on FB is a wonderful resource for safe foods, great recipes and lots of good tips. A bird should also be given some nuts such as brazil nuts, almonds, etc. They are good for protein and the birds love them. They would find these nuts naturally in the wild. NO peanuts should be given to a bird due to the risk of aspergillus. This is a type of mold that can be found even in roasted peanuts and is incredibly deadly to parrots. Cockatoos are known to live between 60-80 years. That doesn't mean there aren't birds who surpass this! 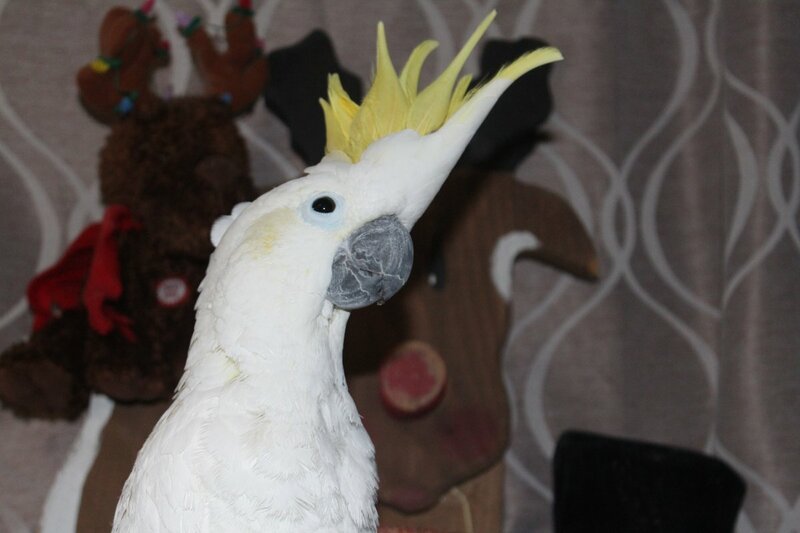 We have old man George here but in 2014, a Sulphur Crested Cockatoo celebrated his 100th birthday! He had outlived his owner and is living in a sanctuary in Hobart where he can live out his days in peace. There was also Duster, the 89 year old Umbrella Cockatoo, who had been passed around for decades and finally landed in a rescue...his old trainers recognized him and gave a detailed history on his many years. And don't forget Cookie the 81 year old Major Mitchell Cockatoo. He is the only original animal member of the Brookdale Zoo who is still alive! Are you willing to make a lifetime commitment to this bird for 40+ years? Are you willing to have this commitment be passed down to your children and potentially your grandchildren? When you adopt, if your bird outlives you they are always welcome back to the rescue but you should have a talk with your family as you age to assure that your bird will be taken care of. Make sure you either a. have a family member willing to adopt your bird, or b. have a person who will contact the rescue to bring the bird back, your bird should be in your will so that your wishes for their future are honored and your bird is kept safe! Cockatoos can destroy their toys in one day, they don't mind waiting a few weeks for new ones. They have us to play with them! This is false, false, false! Cockatoos need an incredible amount of entertainment and just because they destroy a toy doesn't mean they don't need a new one. They destroyed it because they liked it and had fun! You should invest in 2-3 more expensive, acrylic or stainless steel toys that are durable and not easily destroyed but they should also have wooden block and shredder toys which will need to be replaced often. The best way to do this? Learn to make your own! You can make very inexpensive toys at home with things from the dollar store. Check out the Parrot's Workshop on FB for more information. 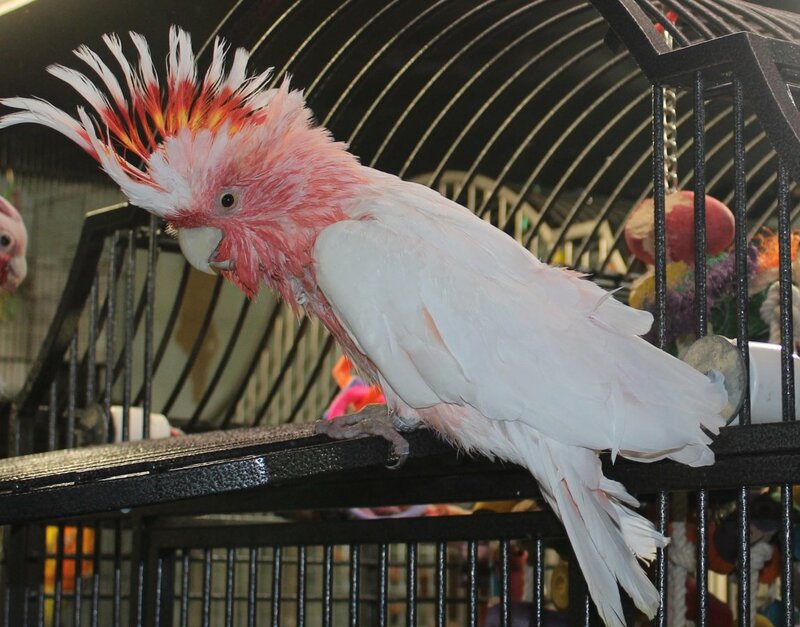 Cockatoos who are bored can become destructive and destroy their cage bars, your molding, etc. And nobody wants that! The chart below shows the "safe spots" of petting a bird. This doesn't mean that a bird won't want or won't ask you to pet them in places like under the wings, etc. This is because in the wild, only their mate would touch them in the other zones and it creates sexual frustration and confusion in a bird. When you encourage them to think you are their sexual mate by petting those areas, they don't understand why you won't breed with them and can lash out at you. They could become aggressive with your family members in an effort to try and protect you. In females, they could become chronic egg layers which runs the risk of calcium deficiency and/or egg binding which can be fatal. It also could lead them to pluck out of sexual frustration. The best thing to do is follow this chart and keep your relationship "platonic." NOTE: We do not know this training group and are NOT affiliated with them. This chart is provided for visual purposes only. 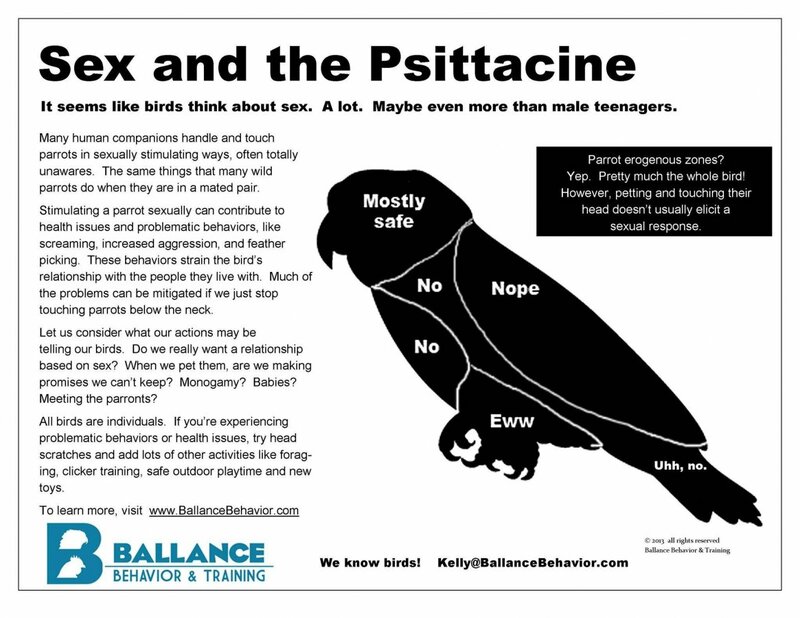 If you are having problems behaviorally with your bird and need assistance, please contact us via email to set up a training consultation. A great bird for someone who stays at home or is retired! All of the above mentioned reasons, especially the need for social interaction, are important in a cockatoo's life. They are demanding and require a lot of attention that busy families may not have to give. They CAN become one person birds but with proper socialization can go to multiple people in the family. They are NOT good first time birds due to their unpredictability, predisposition to plucking, need for incredible attention, screaming and destruction. 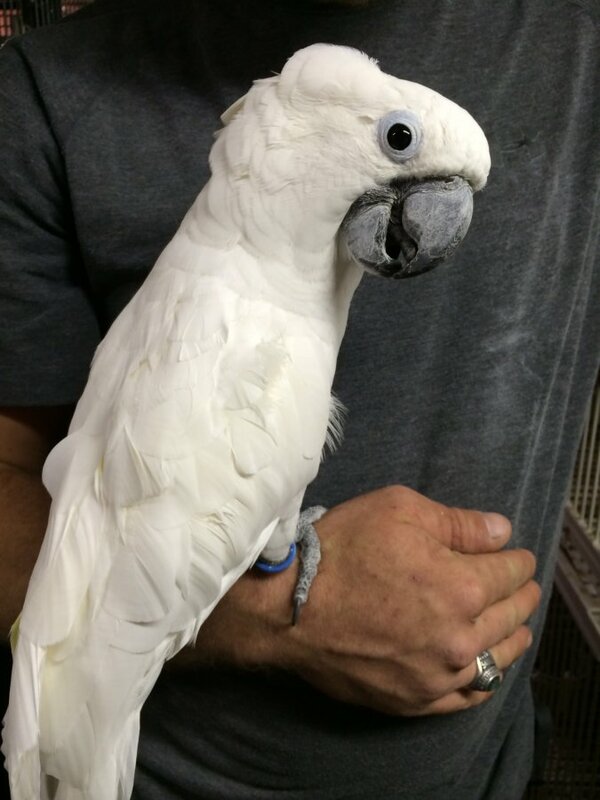 A person should do their research and understand bird behavior, body language and dietary needs before bringing home a cockatoo. They have what is called a 3 part bite! In most parrots, that long point will not puncture you. 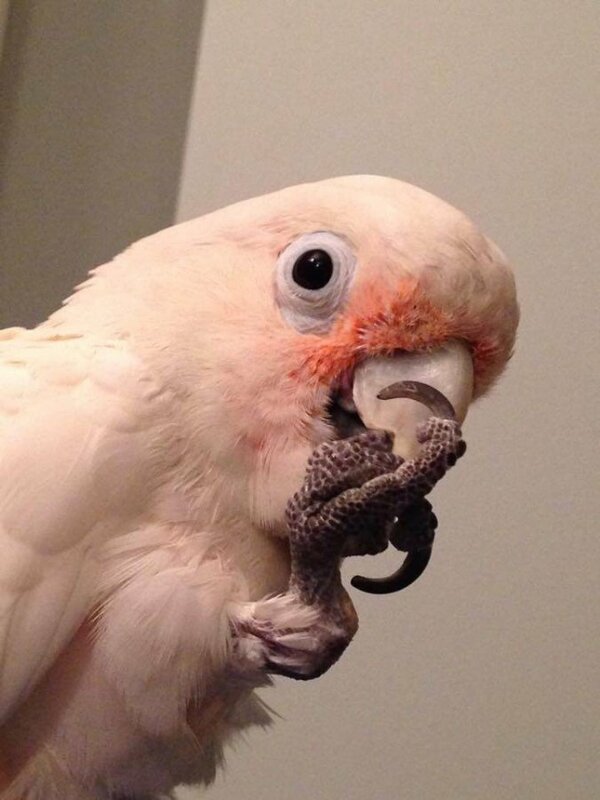 They use the "hook" of their beak to immobilize whatever they are holding in their mouths and the smaller "shovel" looking bottom beak is what is sharp and punctures you. In a cockatoo, they have a "U" shape shovel and the top hook! This leads to bites that can hurt 3x as bad! We won't post pictures because we know some people have sensitive stomachs...google if you are curious! Still think you want a cockatoo? You can handle all these things? You have done your research on the species? Keep in mind, not all of these things will happen to you and your bird. Each bird is unique and individual but you should always be prepared and armed with information to help.